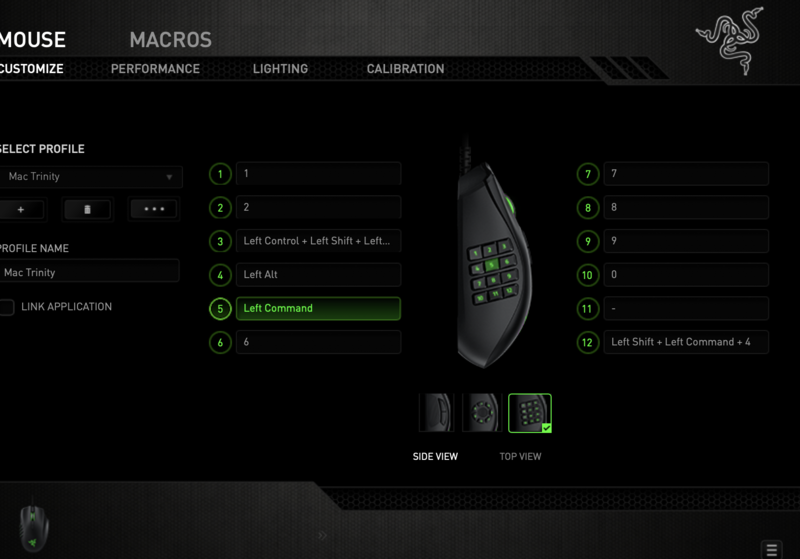 I just bought Razer Naga Trinity, I tried to bind any modifier key only to mouse button on the Razer Synapse but it does not work, I hold it and press a key, it only types the key, it should launch the action. I also tried Macro with Command Left Down only on the macro, it behaves like sticky key. Have anyone got this working on their mouse? I was having problem with binding any modifier like mouse buttons 3, 4, 5 in the screenshot. Thanks for all. 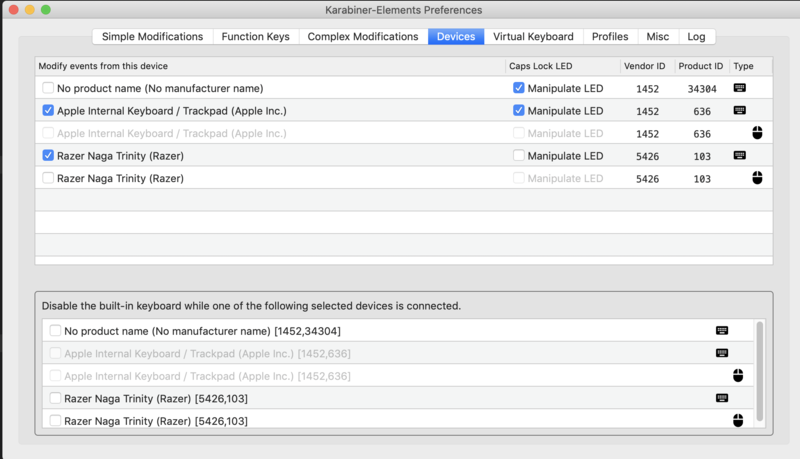 I finally resolved my issue, I have to install Karabiner extra software to resolve it. Now I have an issue with mouse scrolling speed too slow but it's ok I can bare with this. Not the answer you're looking for? Browse other questions tagged mouse keybindings mouse-keys . How to enable “middle” click of Apple's Magic Mouse? Is it possible to bind mouse 4 btn to a specific key on the keyboard on MacOS?